I stayed home again today because of the flu. Mostly to keep my co-workers from getting it as well. Not that it would seem to matter much, but you never know. I posted the above headline from yesterday's paper because a friend of my daughter died a couple of days ago from flu-related symptoms. She was only 30 and had two little children. Dh and I had received the Flu shot in early December. While I don't feel that we have too much to worry about, my defenses have been down due to lack of exercise and overwork over the last month or so. Too many days of up at 2:00 am and no sleep until after 10:00 or 11:00. That would be due to a 10-year old granddaughter who doesn't believe in letting anyone else sleep when she's not. While I love her, I've about had enough. Our daughter and two children have been living with us since the granddaughter was a year old. It's enough to have had these two days to sleep a bit extra. I'm grateful that this flu hasn't hit me as hard as it has others because of these issues. Now I need to worry about how much time I am taking off simply because I'm going to have to have surgery on my shoulder sometime this year. And I only have so much vacation time to use for that purpose. Would have gladly gone back to work today, only I don't think my boss and co-workers would have taken kindly. Don't know that they'll be happy to see me tomorrow, but I do need to go back sometime. 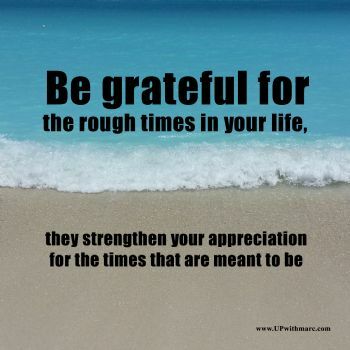 I am grateful to have gotten through January as rough as it's been. There's so many who haven't. Thank you for your blog today! I am washing my hands and being vigilant. I'M NOT GETTING THE FLU IN JESUS NAME! I'm so sorry about your daughter's friend. The news reports about flu deaths is heartbreaking! Big hugs and healing vibes going out to you! Hang in there...times will get better. You just have to believe that. That day at a time philosophy does work-it truly does for me. I am just now getting over the flu-was on the tamiful for 5 days and finished it on Friday. Scary hearing I had the flu and was I ever sick! Hope to never catch that again. Now my DH has symptoms although not as bad as me, thankfully. Just hope I don't have a relapse! It isn't easy staying home, but you did a good thing to think of others and not spreading it. Sorry to hear you weren't feeling well. Lucky you are feeling well enough to go back to work. I have also started getting back on track. I'm sorry to hear about your dad friend. That's so sad! Hope you start to feel better, too. Missouri has been hit hard. Several weeks ago, Boonville schools were closed for a couple of days because of the flu. Hope you feel better soon. I am sorry to hear about your friend's daughter. I'm sorry for your daughters 30 year old friend death. Hope the ladies children get raised ok. Hard enough with two parents let alone one. My 94 year old Mother, my Son, his wife and another relative ended up with the flu. Over it but weakened. I am sorry to hear about your friend's daughter. It is so hard to lose the young. and healing vibes sent your way. My DH got incredibly sick from the flu and is still sick. An 18'year old boy from church got the flu in December and ended up with a 2 week hospital stay. His lungs are almost 100% now, and his parents made trips to the ER themselves. Scary stuff! HUGS and sure hope you feel better! The flu is just awful this year. I sincerely hope this works for you.